Home / Legal & Financial / Lawyers & Attorneys / RIGHT Lawyers - Does Every Divorce Need a Divorce Attorney? RIGHT Lawyers - Does Every Divorce Need a Divorce Attorney? 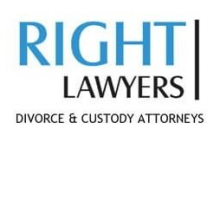 Right Lawyers was started in 2004 by divorce attorney Stacy Rocheleau. She started the firm in an executive suite. Just Stacy, an office the size of a broom closet, a computer, and a few law books. 12 years later the firm has grown by adding four attorneys, six staff members, and four locations. The firm may be bigger, with more attorneys, and more locations, but the focus is the same; to help clients with their divorce and custody issues. Orintas Law Firm - We will fight for you!